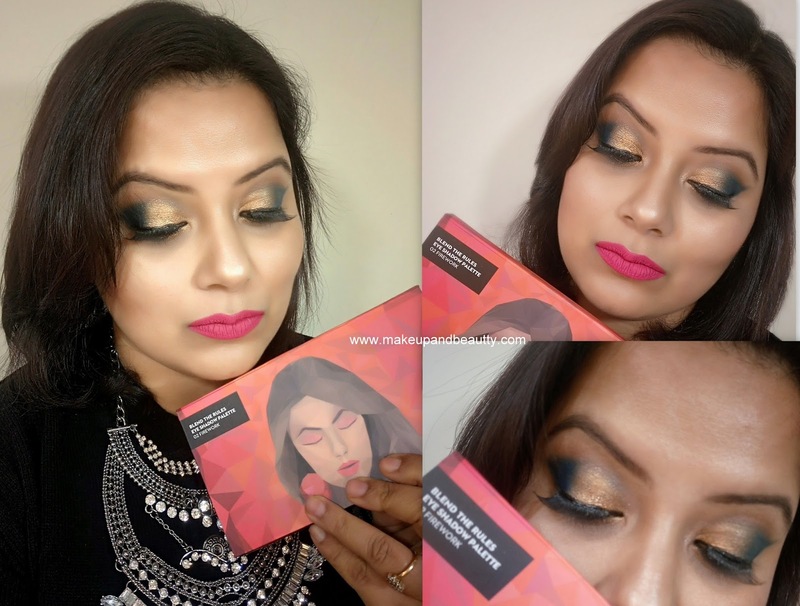 "Finally, the day has arrived when I am up with the review and swatches and fotd using SUGAR COSMETICS EYE SHADOW PALETTE. 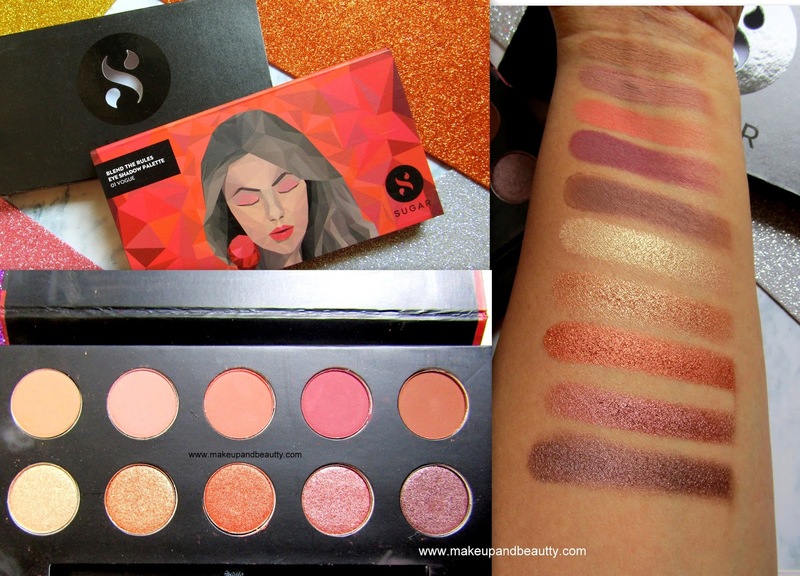 You can call me weird as when makeup world (INDIA only) going gaga over this SUGAR COSMETICS BLEND THE RULES EYESHADOW PALETTE, I was just sitting back waiting for my palettes to arrive and watching all beautiful makeup pictures of other bloggers and was thinking that "what I am going to review? Everybody already pointed out everything..." but still when I received those palettes, my heart was pounded out in excitement and I decided no matter how late I am I will be reviewing these pretties on my blog definitely..."
So, Sugar cosmetics launched these BLEND THE RULES EYESHADOW PALETTE in two big palettes and 18 quads (well, that's a huge range of quads...). The two big palettes are priced Rs.1599/- each containing 10 eyeshadows in each palette. The small quads are priced Rs.699/- each containing 4 eyeshadows in each quad. Unleash your inner artist and create a makeup masterpiece every day with the SUGAR Blend The Rules Eyeshadow Palettes. With a range of 17 high-performing mattes and extra-creamy metallics, these super-pigmented shades are infinitely smooth and incredibly easy to blend. Snap up these jaw-dropping hues in 2 breath-taking ten-shade palettes that come with a dual-ended applicator - it has around blending brush at one end and a doe-tip sponge at the other. But wait, did we bring up its uber-chic packaging yet? This gorgeous tray of colors is built to dethrone the current pride of your vanity display. Talk about eye candy! The lightest color usually works well as a brow bone highlighter. Additional Details: The SUGAR Blend The Rules Eyeshadow Palettes come in two versatile options viz., Vogue and Firework. Also available in 18 captivating quad options. This product is free of parabens, D5, oil, mineral oil, and nano-ingredients. I am an eyeshadow collector and so I decided to pick up those two big palettes instead of those quads. The quads are a basically smaller version of these two big eyeshadow palettes. The eyeshadow palettes come in a black cardboard box. At the back of the black cardboard box, there are all the details regarding the palette has written like price, date of expiry etc.etc. The upper lid of eyeshadow palette has the abstract signature design of Sugar cosmetics.The eyeshadow palette comes in a really hard cardboard packaging. I must tell you the palettes are really heavy and too sturdy.The palette contains a mirror and a dual-ended brush. So, overall the palette is perfect to carry during traveling. As I told you earlier that I am an eyeshadow lover so it is obvious that I already have a huge collection of eyeshadow palette. 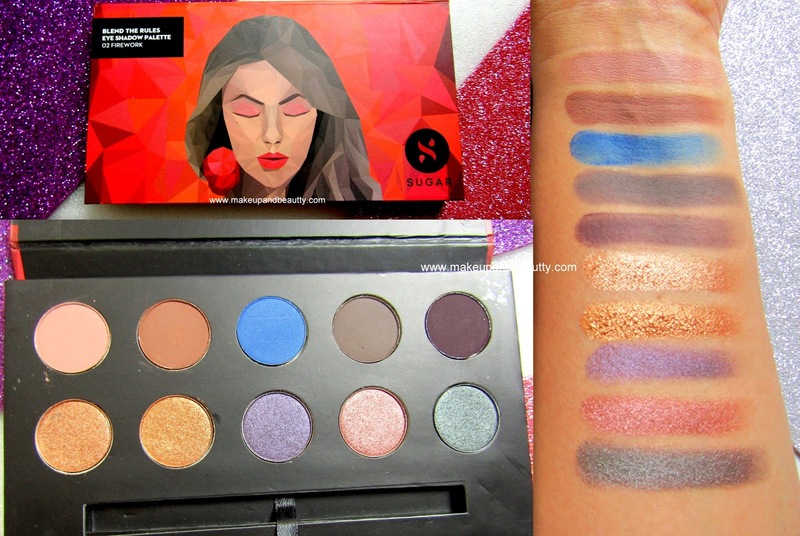 But when sugar launched these palettes I decided to grab it as I wanted to try it out for my blog. I have tried many drugstore brand eyeshadow but till now there is no such brand that can satisfy me fully but my search of good eyeshadow palettes in drugstore brand hopefully ends here after I bought SUGAR COSMETICS BLEND THE RULES EYESHADOW PALETTE. The eyeshadows have buttery in texture. They have good pigmentation. The matte shades have little fallouts but all the shimmery shades have almost no fallout. The pigmentation of shimmery shades is best to compare to the matte one in the palette. The eyeshadows are easy to blend and they work equally good with wet and dry brushes. The staying power of eyeshadows is really good. 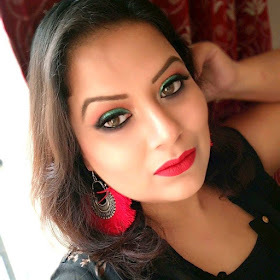 With proper eye base, they stay almost throughout the day and without any eye base they still stay intact during winter while fades from crease line only a little bit after 5/6 hours during hot and sweaty summer (but that is very common if you have oily eyelids for which a proper base is suggested during summer). Coming to the shades choice in the palettes, both the palette has a very safe range of shade choices for which you can pick any one of them or both of them. A neutral-toned palette with ten shades that are a mix of nudes, browns and warm neutrals – it’s everything you need to create the perfect day eye makeup look. Bottom Row (L to R): champagne gold, bronze gold, copper, metallic rose gold and metallic chocolate. All you need for an evening/night makeup look, these ten shades are a mix of bold, bright and dramatic colors. This palette works equally well when you want to add a pop of color or nail the smokey eye look. I love both the eyeshadow palette and I created two different looks using this two palette. I prefer to use 01 for mostly day out while 02 for night out. So, that's all for today...Until next time...see ya!